Make naptime more sanitary and comfortable with sheets that are made from a 50% cotton / 50% poly blend. This fitted mat sheet features a pocket on each end that slips around the mat that makes getting ready for naptime quick and hassle free. The pockets also help keep the sheet on the mat, even for restless little nappers. 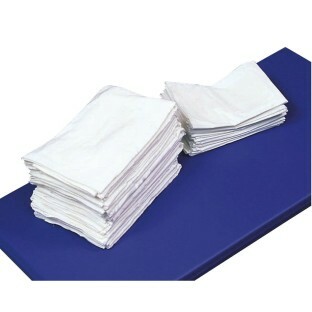 The Pocket Style Fitted Nap Mat Sheets never look wrinkled, even after repeated washings in hot water and bleach which keeps things super sanitary eliminating germs. All sheets are proudly made 100% in the U.S.A. and made to last.